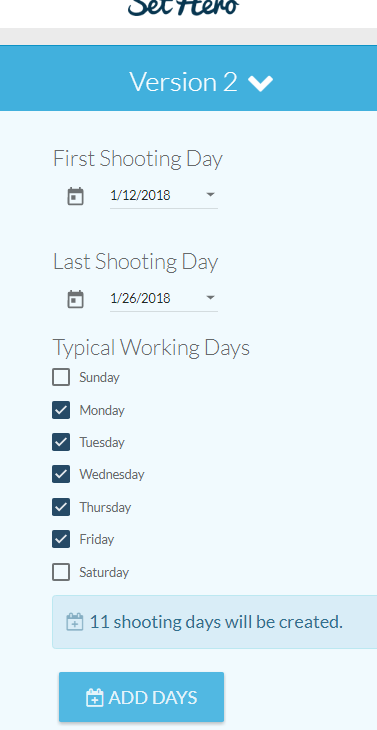 To create a new shooting schedule, click on the “Shoot Schedules” tab in the left sidebar. If you’ve already created a shooting schedule, you will see that schedule already loaded. 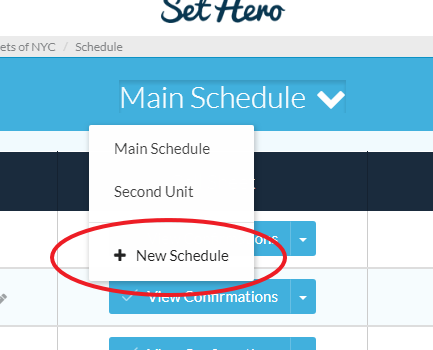 To add a new schedule, click on the chevron arrow next to the schedule name and click the “+ New Schedule” button. Now you can choose the dates that you will be shooting. Choose the first day of filming, the last day of filming, and what days of the week you will typically be shooting. If you don’t have regular “5 days on, 2 days off” schedule, you can just check all the days of the week; don't worry, you will be able to edit dates and add off days later as well. 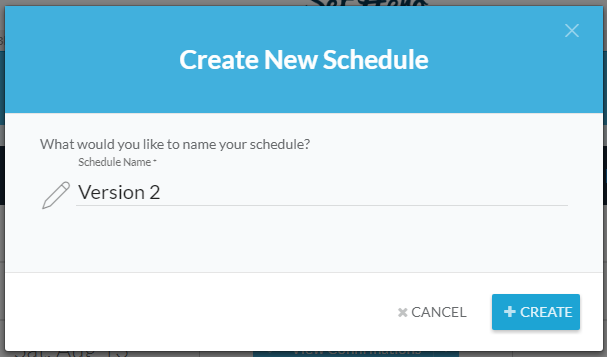 This step is just to get the rough schedule added quickly. Click the “Add Days” button. Congratualtions; you should now see all the days added to your schedule! The “recessed” sections represent a group of off days.